"You don’t have to love animals to be vegan, but if you love animals, being nonvegan is not an option." Plant seeds wherever you go! Stick them where people will see them, gas station pumps, ATMs, Starbucks coffee-prep station, etc! Create your own, download templates and print yourself (instructions here), or, order some here (at cost)! Again, stick them wherever appropriate to plant seeds, including: Envelopes, restaurant receipts, etc. ​Create your own, download templates and print yourself (instructions here) or, order some here (at cost)! 3) Join an on-line/FB activist group! 5) Ethical Choices Program - Become an educator in this amazing program where you are trained, provided a curriculum and then bring the message to students and adults. 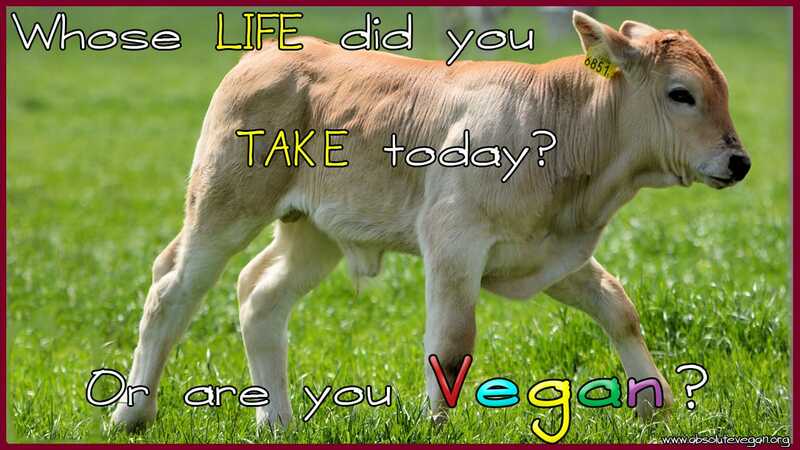 6) Donate/volunteer at an Farm Animal sanctuary (and, if you are able, include a sanctuary donation in your will!). ​7) Join a group or go solo and speak out for the animals, in the form of direct action. 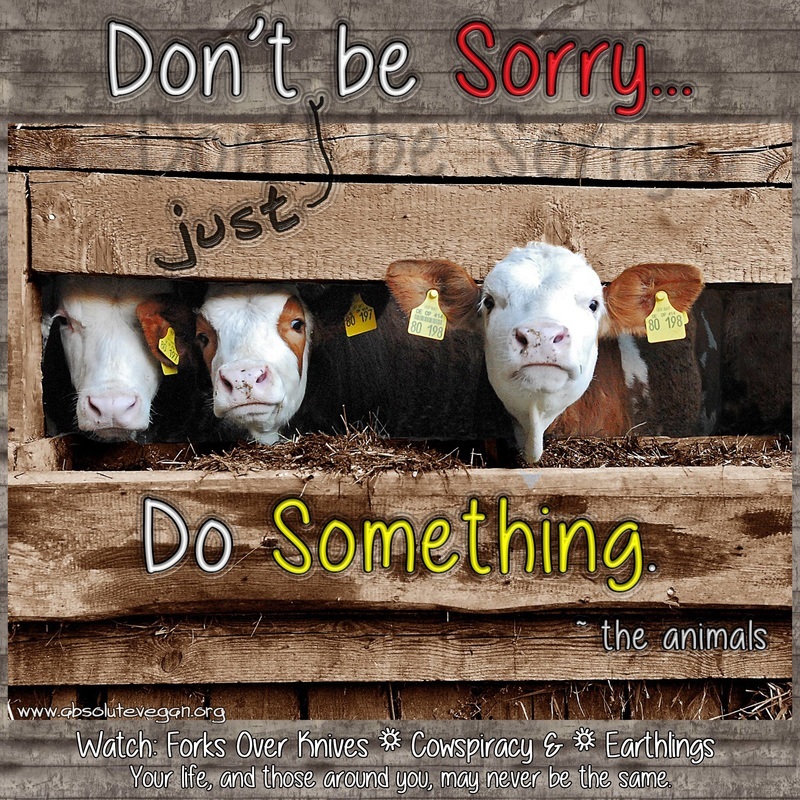 Posters Against Cruelty - This is the place to go! A great website where you can sign up to receive weekly posters! Please SIGN-UP!! 10) Join the Save Movement (like Toronto Pig Save)! Not one in your area? Start one - they can help! 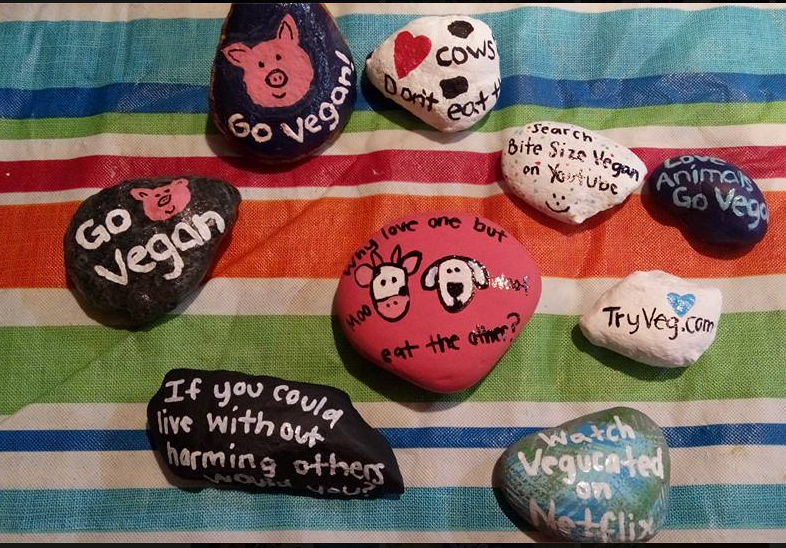 14) Create Vegan/ARs merchandise to spread the word! Donate any profits to a Farm Animal Sanctuary! 15) Create a Vegan/AR Facebook page (that is in addition to but linked to your personal FB page/account) - and promote vegan materials! ​One bonus to doing so: not only can you share posts with groups you are a member (with your personal page) - you are given the opportunity to "Promote" your posts to an audience that has interests you can specifically target (such as yoga, nutrition, spirituality) - and relatively inexpensively - starting at $1, per post promotion! 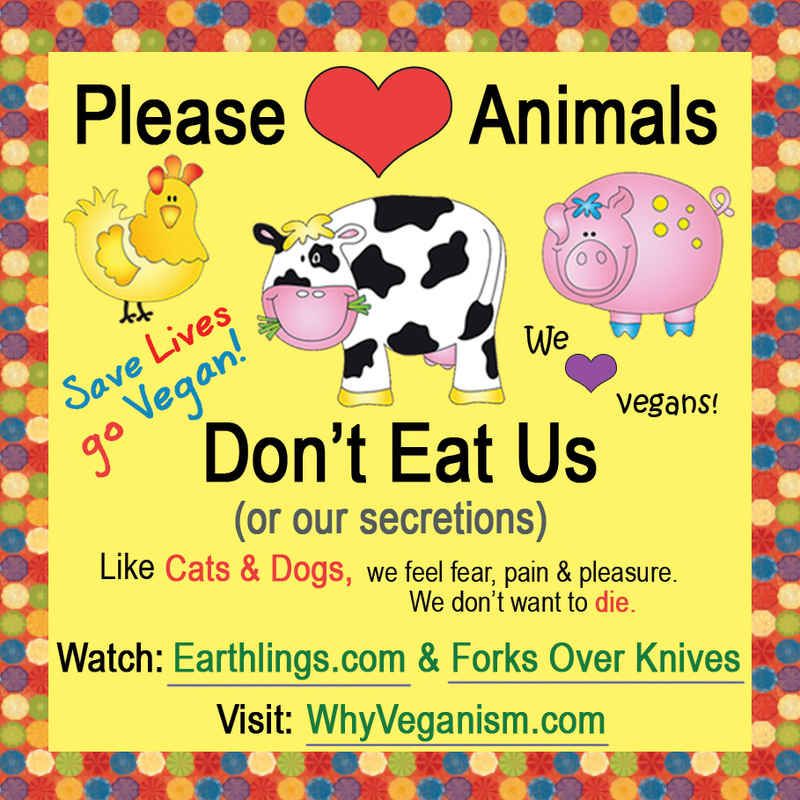 16) Set your screensaver on your work computer (if applicable) to an Animal Rights/Vegan slideshow! "Whose LIFE did you TAKE today? Or are you Vegan?" This is a series of 51 beautiful images with this question (appropriate for all audiences). 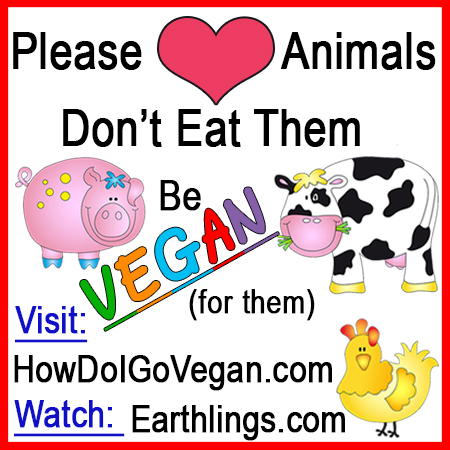 Created by Absolute Vegan - Please download here and use! We love the BeFairBeVegan website and campaign - and they have a beautiful series of images that work wonderfully for this (appropriate for ALL audiences) - to make it easy, we've copied them here. Simply download and use! Not sure how to do this? It's easy - See Windows10 instructions here. (Google older Windows versions for directions). 17) Projections for liberation! 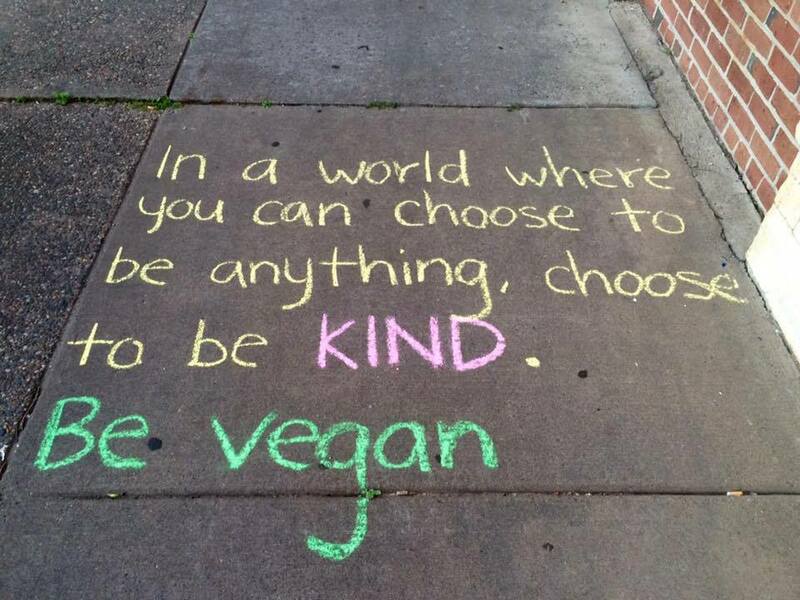 Broadcast a vegan message on a public wall for people to see! Learn how here. 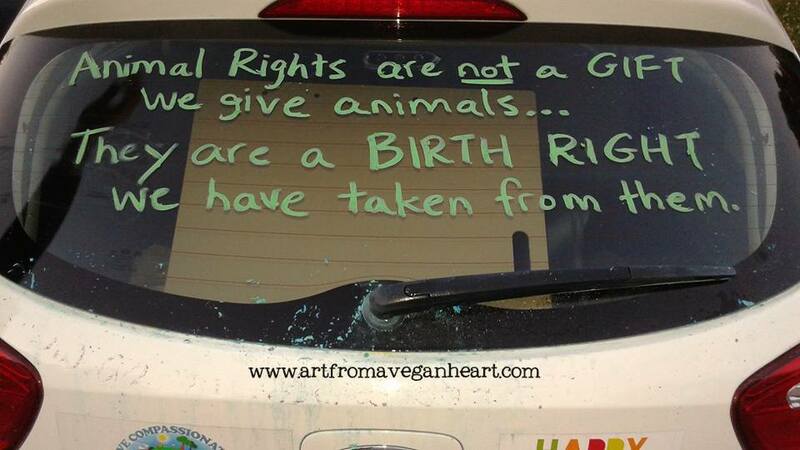 18) Create a blog and/or website on veganism, animal rights, and/or activism! 19) Become a World Peace Diet Facilitator! Complete the facilitator training program, created by Dr. Will Tuttle, author of The World Peace Diet (WPD), and become a certified WPD facilitator. This professional-level training will "equip you to effectively spread the vegan message to others." Learn how here. 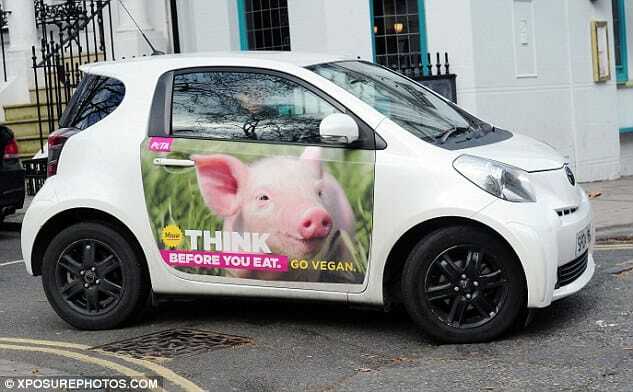 20) Wrap your car and make it a vegan billboard! (see photo right)! If anyone has recommendations on where to have this done, please leave a comment! Thank you! 21) Create educational videos! Host on your YouTube channel. 23) Start a vegan business! Example: v-dog - Vegan dog food! This is a great product from a remarkable vegan advocate! Create some flyers and spread the truth at grocery stores (hand them out if you like, or just drop them at high visibility locations throughout store - napkin dispensers are great!). 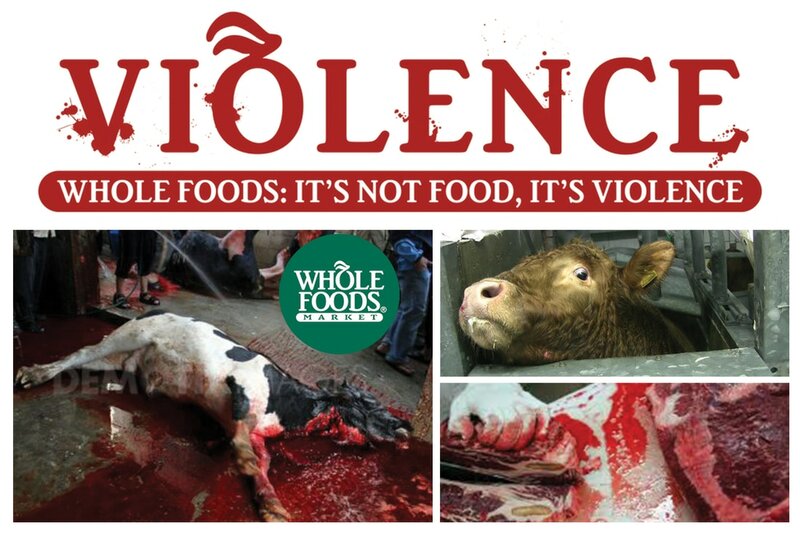 Our favorite is doing this at Whole Foods (WF) Market - because they really emphasize their "humane" animal slaughter. WF Flyers can be downloaded here. CLICK TO ORDER - See left to download & DIY! 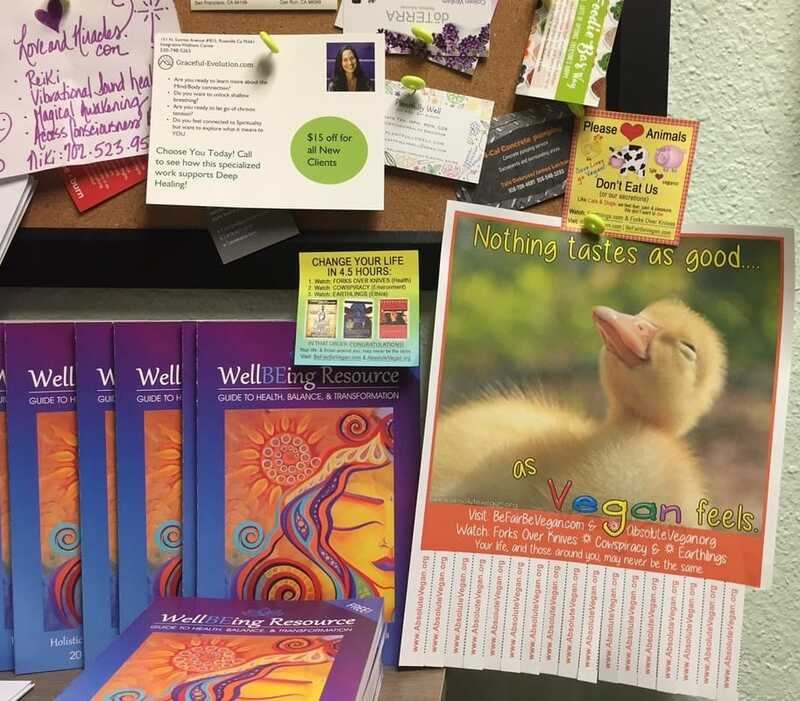 Vegan Sticky Notes & Poster Tear-offs! Download 51 images for Screensaver! If you have a graphic design or web development need, with the specific goal of helping animals...please Contact Me. Maybe I can help in this area, or we can collaborate on a project together (volunteer basis). ​Please feel free to share what you think is effective advocacy! Contact us!